Shanghai-Hong Kong Stock Connect (Stock Connect), the pilot programme allowing mutual market access between the Shanghai and Hong Kong stock exchanges, was launched on 17 November 2014. For the first time, global investors have direct trading access to Shanghai-listed shares (SSE Securities) through Hong Kong, while Mainland Chinese investors can trade Hong Kong-listed shares directly. The launch of Shanghai-Hong Kong Stock Connect was a highly significant development for both Hong Kong and Mainland China. It creates, for the first time, a controllable and expandable channel for cross-border RMB flow for a broad range of investors. More importantly, it paves the way for the further opening up of China’s capital account and greater internationalisation of the RMB. For Hong Kong, the Stock Connect offers greater market liquidity, increased offshore RMB business and the cementing of its position as the gateway to the Mainland for the rest of the world and vice versa. Stock Connect’s design was based on a desire to ensure minimal change to the regulatory structure of both markets and the control of cross-border fund flow. The model is intended to be scalable to other markets and/or asset classes and the model is set to be duplicated in a new Shenzhen-Hong Kong link-up probably in the second half of 2015. The Mainland-Hong Kong mutual recognition of funds scheme (MRF) which came into effect on 1 July 2015 is also based on the Stock Connect model. MRF allows Hong Kong domiciled funds which have been authorised for retail distribution by Hong Kong’s Securities and Futures Commission to apply under a new streamlined procedure for approval for retail distribution on the Mainland. Likewise Mainland funds authorised by China’s Securities and Regulatory Commission can apply for authorisation for retail distribution in Hong Kong under a streamlined procedure. The northbound trading link provides direct access to the PRC’s A-share market to all Hong Kong and overseas investors, both institutional and individual. Previously foreign investment in this market was restricted to foreign institutional investors qualifying under the Qualified Foreign Institutional Investor and Renminbi Qualified Foreign Institutional Investor programmes. The southbound link for trading Hong Kong listed shares is open to Mainland Chinese institutional investors and individual investors with at least RMB500,000 securities and cash account. Chinese investors could previously only access Hong Kong’s equity market through the Qualified Domestic Institutional Investor scheme. Stock Connect is open to all Exhange Participants (EPs), SSE Members, CPs, and ChinaClear participants, subject to their meeting certain information technology capability, risk management and other requirements as may be specified by the relevant exchange and / or clearing house. The names of all eligible EPs and CPs are published on the HKEx website. all SSE-listed A shares that are not constituent stocks of the relevant indices but which have corresponding H shares listed on the Hong Kong Stock Exchange (HKEx). Other product types such as B shares, Exchange Traded Funds (ETFs), bonds and other securities are not included under the initial stage. SSE-listed security not accepted as a SSE Security upon the launch of Stock Connect due to its being under “risk alert” It will be accepted as an SSE Security upon its subsequent removal from the “risk alert board”, if it is still a constituent stock of the relevant indices, or if its corresponding H share continues to be listed and traded on the HKEx. the corresponding H share of the SSE Security subsequently ceases to be traded on HKEx. Investors will be allowed to sell the SSE Security but restricted from further buying. A PRC company seeks simultaneous listing on both SSE (as A share) and HKEx (as H share) The relevant A share will be accepted as an SSE Security after both the A share and H share have passed the stabilisation period. Where a PRC company whose share is listed on HKEx (as an H share) seeks an A share listing on SSE The A share will be accepted as an SSE Security after the A share has passed the stabilisation period required by the SSE. Where practicable, announcements will be made to inform the market of the date of an individual stock becoming an SSE Security after the stabilisation period. The corresponding H share of an SSE Security is suspended from trading on HKEx Investors can continue to buy and sell the SSE Security which is not suspended from trading on SSE. H shares which have corresponding A shares under “risk alert”. Other HKEx listed products cannot be traded through Stock Connect at this stage, including shares listed on HKEx’s Growth Enterprise Market, Exchange Traded Funds, Real Estate Investment Trusts, structured products, bonds and other securities. Southbound activities are limited to secondary market trading, so Mainland investors cannot participate in Hong Kong IPOs. A PRC company seeks simultaneous listing on both SSE (as A share) and HKEx (as H share) The relevant H share will be accepted as an HKEx Security after both the A share and H share have passed the stabilisation period. The H share will be accepted as an HKEx Security after the H share has passed the stabilisation period as required by the SFC. The H share will be accepted as an HKEx Security after the A share has passed the stabilisation period as required by the SSE. The regulators are considering whether investors will be allowed to continue to buy and/or sell the HKEx Security in this situation. The final arrangement will be announced. The securities eligible for trading under Stock Connect can be amended subject to agreement between SSE and HKEx and relevant regulatory consents. Northbound investors who want to trade SSE Securities through the Stock Connect should trade through EPs on the Hong Kong Stock Exchange (HKEx). The HKEx has a subsidiary in Shanghai which receives orders to trade in SSE Securities from EPs and routes them onto SSE’s trading platform for matching and execution on the SSE. Upon trade execution, trade confirmation received from the SSE is sent to EPs. Northbound trades are executed on the Shanghai Stock Exchange (SSE) platform, and most rules of the SSE apply. Similar arrangements have been made by the SSE to allow Mainland investors to trade HKEx Securities on HKEx. In order to cap the amount of fund inflow and outflow into and out of the Mainland under Stock Connect, trading is currently subject to an aggregate quota and a daily quota. Both apply on a net buy basis, allowing investors to sell securities held even if the quota balance falls to zero. The current quotas are set out in the table below. The Northbound Aggregate quota balance4 is published daily on the HKEx’s website after SSE’s market close while the Daily Quota balance5 is updated on the HKEx’s website at 1-minute intervals and through CCOG and OMD Index Feed at 5-second intervals. If the Aggregate Quota balance falls below the Daily Quota, Northbound buying will be suspended on the next trading day and will resume once sell orders for SSE Securities push the Aggregate Quota balance back to the Daily Quota level or above. The Daily Quota is designed to cap the net buy value of trades made through Stock Connect and is refreshed to the same level every day, subject to the Aggregate Quota balance. Once the Daily Quota is used up, no further buy orders will be accepted for the rest of the trading day. If the Daily Quota is used up during the opening call auction, new buy orders can no longer be submitted until the balance returns to a positive level, which is possible given that order cancellation is common at the opening call auction session. Accepted buy orders, however, stay on the SSE order book unless cancelled by the EP which submitted the order, even if the Daily Quota is used up. Unused quota will not be counted towards the Daily Quota on the next trading day. Both the HKEx and the SSE reserve the right to suspend specific stocks or the entire program if an orderly and fair market cannot be maintained. However the relevant regulator’s prior consent is required for the implementation of a suspension. All trades under the programme are settled in yuan. Chinese investors use yuan to invest in Hong Kong stocks and the exchange to Hong Kong dollars takes place in Hong Kong through ChinaClear. Hong Kong and overseas investors must use yuan to purchase Shanghai-listed stocks. It should also be noted that day trading is banned in Stock Connect and investors may only sell shares acquired on the next trading day. Trading in Shanghai-listed stocks is subject to a general price limit of ±10% (and ±5% for stocks in the risk alert board) based on the previous closing price. For the trade of Hong Kong listed stocks, trading follows the pre-existing quotation rules. 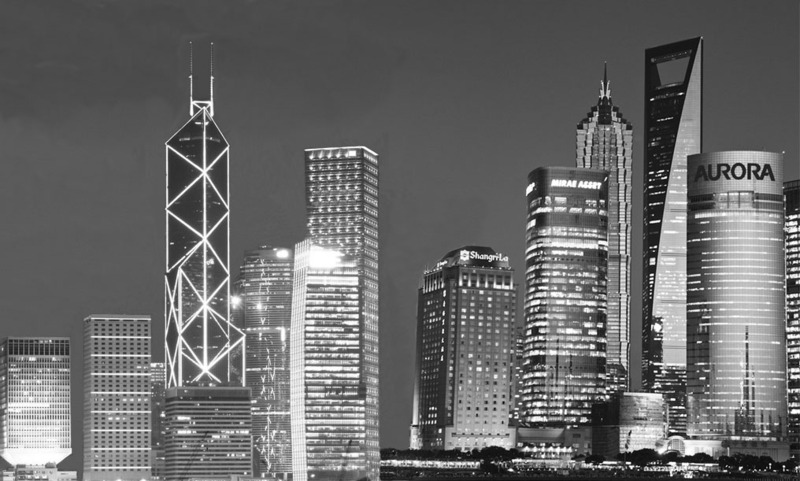 The SFC and the CSRC advise participants of the Shanghai-Hong Kong Stock Connect to familiarise themselves with the differences between the laws, regulations, rules and market practices in Hong Kong and Mainland China. Hong Kong’s Investor Education Centre and Mainland China’s Investor Protection Bureau have agreed to cooperate on investor education in relation to Shanghai-Hong Kong Stock Connect. The Investor Education Centre now has a dedicated page of information for the pilot programme (see archive). Both northbound and southbound investments are only allowed to sell A shares available in their stock accounts at the end of the previous trading day. The HKEx conducts checks at the EP level6 to ensure there are enough shares in investors’ accounts with the executing EPs when placing sell orders. In other words, if relevant stocks are kept in an account with another EP, investors need to transfer the shares to the account opened with the executing EPs one trading day before placing a sell order. The SSE conducts the same pre-trade shareholding check for SEHK Subsidiary’s sell orders. SSE Securities acquired by Hong Kong and overseas investors are held in HKSCC’s omnibus stock account with ChinaClear. SSE carries out a check of SEHK Subsidiary’s sell orders of SSE Securities against the shares held in HKSCC’s account. For pre-checking to take place, EPs trading SSE Securities must either be HKSCC clearing participants (CPs) themselves, or appoint a general clearing participant (GCP) of CCASS to hold its SSE Securities in a designated sub-account and clear Northbound trades on its behalf. Hong Kong and overseas investors can opt to hold their SSE Securities with CPs or Custodian Participants of HKSCC. If they do so, an additional settlement instruction session is available in the morning of each trading day to enable transfer of such shares by a custodian or GCP which is a non-EP. If the cumulative sell quantity of the trading exceeds the shareholding position at market open, the sell order will be rejected. When trading through EPs, Hong Kong investors have their SSE Securities held by brokers or custodians as CPs in accounts in the Hong Kong Central Clearing and Settlement System (CCASS) maintained by Hong Kong Securities and Clearing Corporation Limited (HKSCC) as central securities depositary in Hong Kong following settlement. HKSCC in turn holds SSE Shares of all its participants through an omnibus securities account in its name registered with China Securities Depository and Clearing Corporations Limited (ChinaClear), the central securities depositary in Mainland China. Under Hong Kong law, the proprietary interests of investors in SSE Securities held for them by their broker or custodian as trustees in CCASS is recognised. The position is similar under PRC laws and regulations. While HKSCC is the nominee holder of the SSE Securities, HKSCC has no proprietary interest in the securities under PRC laws and regulations. Hong Kong and overseas investors in SSE securities are recognised under PRC laws and regulations as the beneficial owners of the securities interests of rather than any broker, custodian or other intermediary through whom the securities are held. Brokers or other intermediaries holding such securities for its own account are also recognised as beneficial owners. seeking instructions as to the exercise of rights and entitlements attaching to relevant securities or the participation in other matters affecting them. It should however be noted that HKSCC is under no duty to take legal action or file court proceedings to enforce shareholder rights on behalf of the investors and interfere in private disputes between the investor and relevant parties. Securities and Futures Ordinance (SFO) however requires HKSCC to take such action if it is in the public interest to do so. Investors holding SSE Securities through HKSCC may also request HKSCC to provide certification of their interests in the SSE Securities in question. If HKSCC were to become insolvent, SSE Securities held by it will not be considered part of its assets under Hong Kong or PRC law and will not therefore be available for distribution among its creditors under PRC law since HKSCC is not the beneficial owner of the securities. As HKSCC is a company incorporated under Hong Kong law, any bankruptcy proceedings against it will be initiated in Hong Kong and claims against it will be assessed in accordance with Hong Kong law. The PRC courts and ChinaClear will recognise the power of a liquidator of HKSCC duly appointed by the Hong Kong courts to deal with SSE Securities held by HKSCC. other situations specified by SSE and ChinaClear. Whether and how stamp duty are to be collected regarding these transactions has yet to be determined and relevant updates will be published on the HKEx’s website. It should be noted that since only transfers involving a change in beneficial ownership are considered as off-exchange transfers under the SSE Rules, security arrangements that involve no transfer of shares from one securities account to another, for example, charge or assignment by way of security with the custodian bank or broker as a charge, would not contravene the rule against non-trade transfers. Off-exchange transfers are also permitted for: succession; divorce; the dissolution, liquidation or winding-up of a company; donation to a charitable foundation; and assisting in any enforcement in connection with proceedings or actions taken by a court, prosecutor or law enforcement agent. Northbound investors are barred from the Margin Trading and Securities Lending Programme8 which is accessible to Mainland investors trading in A shares. However, Hong Kong and overseas investors can conduct margin trading through Stock Connect in A shares which the SSE has designated as eligible for margin trading. A list of SSE Securities which are eligible for trading through Stock Connect is available on the HKEx website. Margin trading can be suspended by the SSE if the volume of margin trading in specific A shares exceeds the margin trading indicator, i.e. 25% of the securities’ listed and tradable shares. Margin trading will resume when the margin trading indicator drops below 20%. The HKEx will be notified of the suspension and resumption of the securities concerned and publish relevant information on its website. SSE has the right to require margin trading orders to be flagged in order to be routed to the SSE’s system. The requirement was not implemented on the launch of Northbound trading and EPs will be given notice on the timing of the implementation. for meeting the pre-trade checking requirements in certain circumstances (e.g. where a China Connect EP’s client is unable to effect a transfer of shares to the China Connect EP’s clearing account in time to meet the pre-trade checking requirement). Eligible Lenders Who can they lend to? Eligible lenders have to comply with certain requirements. A China Connect EP or a Trade-through EP may only lend SSE Securities held or owned by it as principal, or SSE Securities borrowed from other China Connect EPs, Trade-through EPs, Non-Registered EPs or QIs, in each case, who are lending as principal. A Non-Registered EP or a QI may only lend SSE Securities held or owned by it as principal. file a monthly report to the HKEx providing details on their stock borrowing and lending activities with respect to SSE Securities in the prescribed form which includes details including the stock name, the borrower’s name, the lender’s name, the number of shares borrowed or lent, the number of shares outstanding, the date of borrowing/return etc. Non-registered EPs and QIs lending stocks to China Connect EPs and Trade-through EPs must provide the borrower with an undertaking in the prescribed form confirming, among other things, that they are not restricted from engaging in stock lending activities. however remains prohibited for northbound trading. The list of SSE Securities which are allowed to be sold short is published on the HKEx website. Under the new rules, China Connect EPs have to ensure that the orders are covered. Clients may only borrow stocks from brokers that are China Connect EPs approved by the HKEx for the purpose of stock lending. The broker/China Connect EP may in turn borrow stocks from other EPs or QIs. China EPs are required to submit monthly reports on SBL activities conducted to the exchanges. Since executing China Connect EPs are not always the lending China Connect EPs (an investor can be a client to 2 or more China Connect EPs, then borrow stocks and instruct execution of the short-selling order at different ends). The executing China Connect EPs then should ensure sufficient stocks are borrowed and delivered to its CCASS account in time for the daily pre-trade checking conducted through the Stock Connect. If SSE Securities borrowed for short-selling remain outstanding and not returned to the lender, China Connect EPs and the relevant investor are subject to the uptick rule in respect of any instructions for the sale of that short selling security. The input price of short-selling orders are checked against the most recent execution price of the SSE Securities. Orders submitted at a price lower than the most recent execution price will not be accepted. Short-selling orders submitted to the Stock Connect must be flagged. China Connect EPs should confirm with clients if the sell order is a short-selling order with appropriate procedures and keep proper records in relation to short-selling. If a client borrows shares from a stock lender other than the China Connect EP executing the short sale, the executing China Connect EP will need to require the client to inform it of the return of the stock loan so that it can comply with its reporting requirements on open short positions. Weekly Short Selling Reports should be submitted before the start of the first trading day of the following week via the Electronic Communication Platform. For further details please see the Exchange’s Explanatory Notes of Short Selling Weekly Report for China Connect Securities12. China Connect EPs and HKEx EPs that trade via China Connect EPs must file a report if they or any of their clients have any open short positions exceeding RMB25 million or 0.2% of the issued shares of the relevant short selling security after market close on the last trading day of the week. Cumulative limit: 5% for a rolling period of 10 CSC trading days. Short-selling of an SSE Security may be suspended by the SSE if its total open short positions exceed 25% of its listed and tradable shares. Resumption is triggered when the position falls below 20%. If an SSE Security is removed from the list of stocks eligible for short-selling, short-selling activities in it will be suspended. Any outstanding SBL agreements in relation to the stock are not affected and need not be closed out. Enhancement of general standards of cross-boundary enforcement cooperation. `if a change in an investor’s shareholding is less than 5% but results in the shares held or controlled by him falling below 5% of the relevant Mainland listed company. Under PRC law, northbound investors who have actual control over voting rights of the securities are also bound by the same rule when trading via the Stock Connect.13 The rule does not however apply to HKSCC acting as a nominee holder in Stock Connect. Northbound investors have to pay stamp duty on the sale of SSE Securities at the rate of 0.1% on the consideration. Stamp duty is also payable on the transfer of SSE Securities by way of succession and gift under the existing PRC tax regime. Cash dividends and/or bonus shares of SSE Securities are taxed at a standard rate of 10%, which will be withheld and paid to the PRC tax authorities by the relevant issuers. Overseas investors from countries with a tax treaty with China providing them with a lower dividend tax rate may apply to their tax authority for refund of the difference. Northbound investors’ trades of SSE Securities through Stock Connect are exempted from PRC capital gains tax and business tax. 1 Hong Kong Exchange Bi-Weekly Investor Newsletter – Shanghai-Hong Kong Stock Connect for Northbound Investors – Issue 17. 17th July 2015. Available at http://www.hkex.com.hk/eng/market/sec_tradinfra/chinaconnect/documents/shanghai-hong%20kong%20stock%20connect%20bi-weekly%20newsletter%20-%20issue%2017_en.pdf. 2 According to the SSE Listing Rules, any SSE-listed company which is in the delisting process, or whose operation is unstable due to financial or other reasons, to the extent that it runs the risk of being delisted or exposing investors’ interest to undue damage, the SSE-listed company will be earmarked and traded on the “risk alert board”. 3 Shanghai-Hong Kong Stock Connect Eligible Stocks at: http://www.hkex.com.hk/eng/market/sec_tradinfra/chinaconnect/Eligiblestock.htm. Weighted average cost of aggregate sell trades is calculated based on the purchase cost of all buy trades of the SSE Security in question conducted in Northbound trading and is not the actual corresponding buy trades conducted by each individual EP. 6 The executing China Connect EP should put in place appropriate measures to ensure shares in the client’s account are sufficient for the short-selling order placed. 9 A Trade-Through EP is an EP registered with HKEx to conduct trading in SSE Securities through China Connect EPs for the account of their clients. other persons accepted or specified by SSE. This forms a broad list of eligible lenders compared to mainland China where investors can only borrow stocks from their securities broker. 12 Hong Kong Stock Exchange. “Explanatory Notes of Short Selling Weekly Report for China Connect Securities”. Updated January 2015. Available at http://www.hkex.com.hk/eng/market/sec_tradinfra/chinaconnect/Documents/Explanatory_Notes_of_Short_Selling_Weekly_Report.pdf. 13 Article 12, the Administrative Measures for Acquisition of Listed Companies.